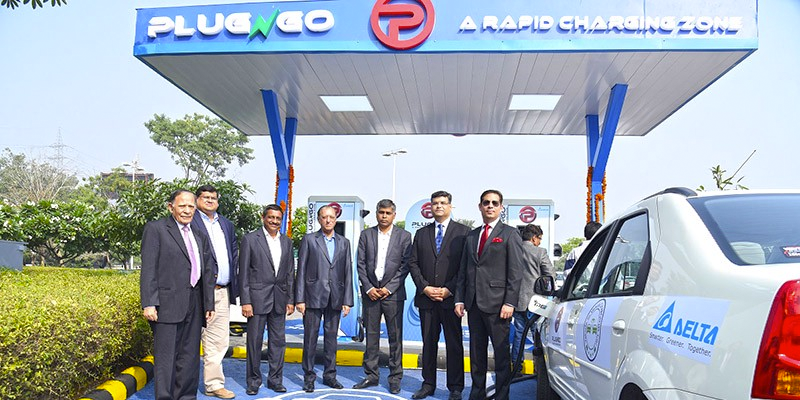 EV Motors India plans to use a cooperation with DLF, Delta Electronics and ABB India to set up a brand name PlugNgo, which will install more than 6,500 EV charging parks across India over the next five years. They will equip major cities in India with multiple charging parks each, and are calculating an investment sum of 200 million dollars for the venture. The launch, with the opening of the first PlugNgo location, has already been made. In the next twelve months, the company plans to set up another 20 locations in the Delhi region, as well as other cities, including Bengaluru, Chandigarh, Jaipur, Ahmedabad, Kanpur, Kalkutta, Mumbai, Pune, Hyderabad, Amritsar, Bhubaneshwar, Cochin, Indore and Chennai. 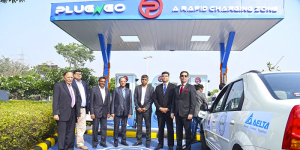 The company plans to provide charging options for all types of two- and three-wheelers, as well as personal vehicles and buses with type 2, CCS and CHAdeMO ports.